Vermont capitol building in Montpelier. Vermont is now the only state to have never sent a woman to Congress. 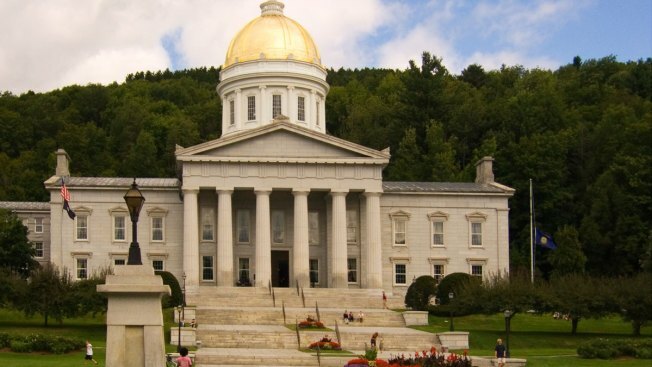 The Vermont Senate has approved a proposal to amend the state constitution to preserve a woman's right to an abortion. The Right to Personal Reproductive Liberty was approved Thursday by a vote of 28-2. To continue the process of amending the constitution, it must now be approved by a majority in the House. The proposal would then have to be approved by the Legislature elected in 2020 and, if approved a second time, go before voters in a statewide referendum. Supporters want to protect abortion rights in case the U.S. Supreme Court reverses its Roe vs. Wade decision that legalized abortion. Separately, the Vermont House earlier this year passed a bill to guarantee a woman's access to an abortion. Abortion opponents say the measures could expand access to abortion.